Have you ever noticed that when you drive your car on a cool day it has a lot more power? How would it be to always drive with more power even when your engine is pushed hard? 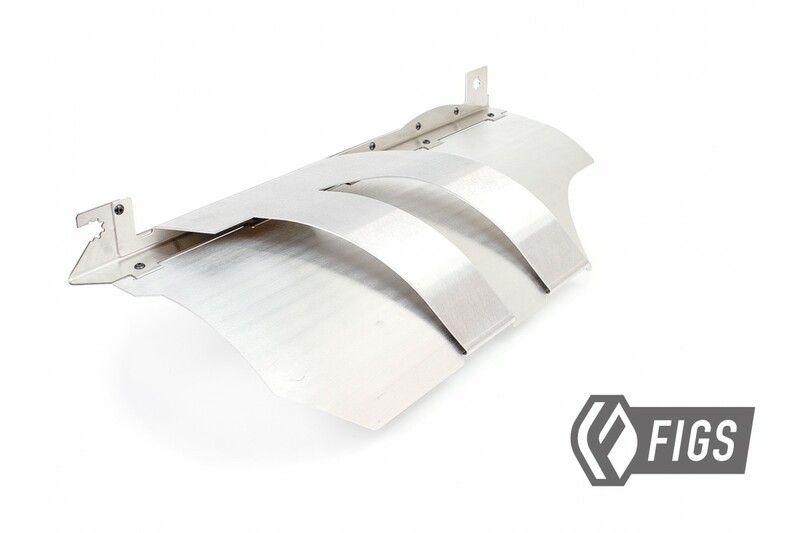 Driven by the need to keep the over-passing intake air cool, FIGS has developed a new header heatshield for the IS300 and GS300 application. 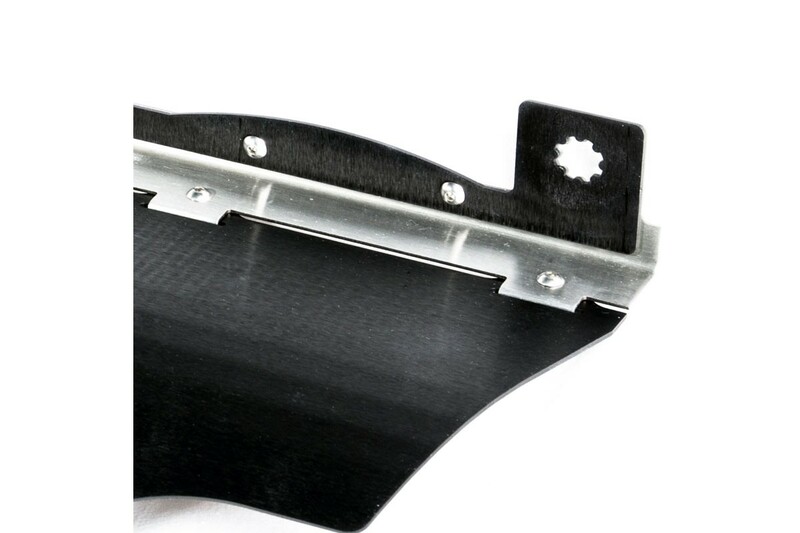 Our V2 has taken us a long time to perfect due to the complicated interface between panels. 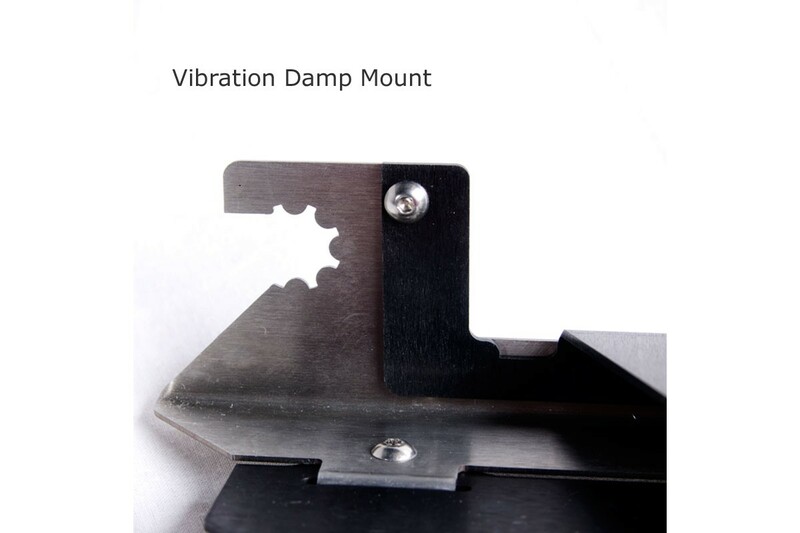 The mount is now a vibration damped stainless steel with a star engagement mount for long life. 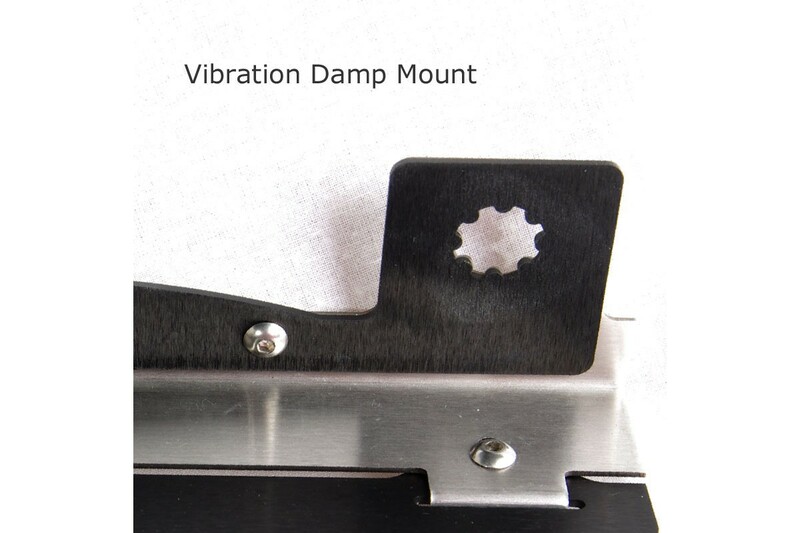 We eliminated all welding for consistency and now use stainless hardware with locking fasteners pressed into the sheet metal for a rugged interface to last many years. 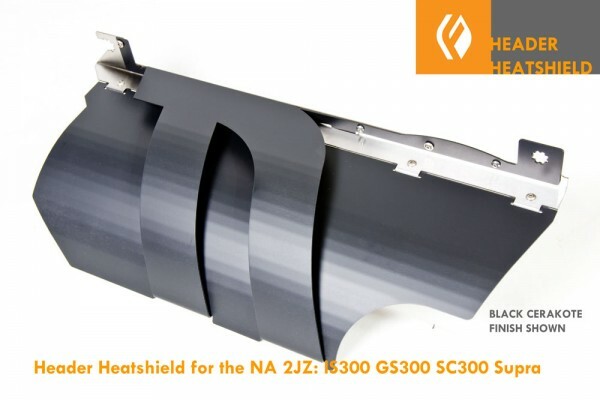 The shield portion is made from 5052 aluminum, these shields are guaranteed to be the most effective, rattle-free, stylish pieces on the market. The best part is that the heatshield is designed to constantly keep the intake cooler and resist heat soak by allowing the airflow to pass over it and exit the draft opening in the underside of the car. This is in stark contrast to other products that lock in the hot air under the shield which is prone to heat soak over time. A true "Heat Management System!" During dyno testing, we observed 3- 4HP gain and 38-degree temp differential on bare aluminum shield and a 38-degree temp differential on the surface of the intake vs the shield. These results are with the hood open and poor airflow so we expect results while driving to be even better. Confirmed 3-4whp on our na IS300 on the dyno. Greater power gains when driving. Aluminum design blocks IR radiation keeping the intake tubing cool. Proprietary design is open in the front to allow cross flow air to cool the shield and vent heated air out the underside of the car...no heat soak! 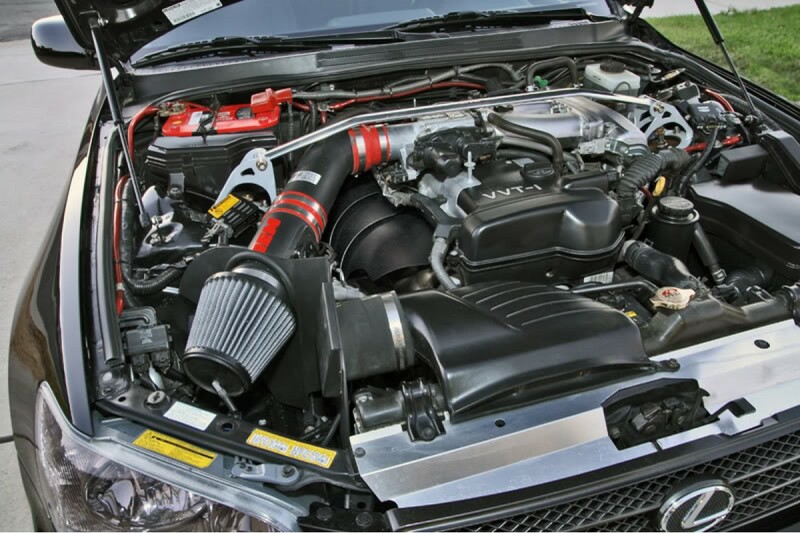 Easy installation, installs in as little as 5 minutes without removing the intake. Now available as bare aluminum or CeraKote ceramic coated. Choose up to 2 custom colors to coat the stiffener or the base shield from the NIC Industries color chart or request a list of custom colors. add to comments in your order. G4 VERSION Yet Again! We have decided not to rest on our laurels and have improved the already funct..
Our CNC Battery Bars were designed to freshen up the engine bay V2 features a thicker design th..
HPS Blue air intake kit for 2001-2005 Lexus IS300 3.0L offers a free-flowing 2.75" mandrel-bent alum..
HPS Polish air intake kit for 2001-2005 Lexus IS300 3.0L offers a free-flowing 2.75" mandrel-bent al..
HPS Red air intake kit for 2001-2005 Lexus IS300 3.0L offers a free-flowing 2.75" mandrel-bent alumi..
HPS Wrinkle Black air intake kit for 2001-2005 Lexus IS300 3.0L offers a free-flowing 2.75" mandrel-..
Lexus 2001-2005 IS300 I6 3.0L HPS High Temp 3-ply Reinforced Silicone Heater Hose Kit Black is desig..
Lexus 2001-2005 IS300 I6 3.0L HPS High Temp 3-ply Reinforced Silicone Heater Hose Kit Blue is design..
Lexus 01-05 IS300 I6 3.0L HPS High Temp 3-ply Reinforced Silicone Radiator + Heater Hose Kit Black i..
Lexus 01-05 IS300 I6 3.0L HPS High Temp 3-ply Reinforced Silicone Radiator + Heater Hose Kit Blue is..
Lexus 01-05 IS300 I6 3.0L HPS High Temp 3-ply Reinforced Silicone Radiator + Heater Hose Kit Red is ..